Batik is a craft that has high artistic value and has become part of the culture of Indonesia (especially Java). Which is the ancestral heritage of Indonesia since time immemorial. The history of batik in Indonesia with regard to the development of the Majapahit kingdom and the kingdom afterwards. In some notes made on the development of batik many times Mataram kingdom, then the kingdom of Solo and Yogyakarta. The tradition of batik was originally a tradition fell down, so occasionally a recognizable motif batik originated from a particular family. Some batik may indicate the status of a person. Even now, several traditional batik motif is only used by the family palace of Yogyakarta and Surakarta. The type and style of traditional batik quite so much, but the patterns and variations in accordance with the philosophy and culture of each region are very diverse. Indonesia's cultural treasures so rich nation has been driving styles and types of traditional batik with the characteristics of specialty themselves. Javanese women in the past to make their skills in batik for a living, so in the past batik work is the exclusive work of women. 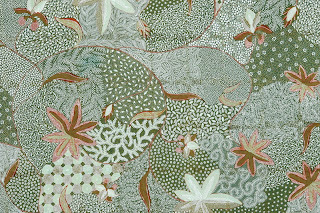 Since industrialization and globalization, which introduces automation techniques, batik is a new type emerged known as batik or batik prints while traditional batik produced by hand using a canting and night is called batik. - Batik cloth is furnished with texture and style batik by hand. Batik making this type takes approximately 2-3 months. 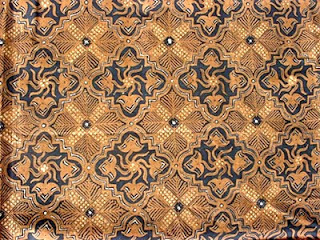 - Batik cap is decorated with textured fabrics and batik patterns formed by stamp (usually made of copper). Batik-making process of this type takes approximately 2-3 days. 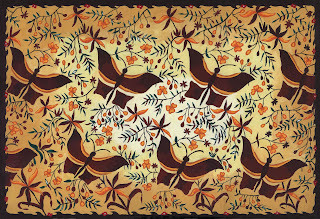 In the development of this batik art gradually imitated by the people nearest and subsequently expanded into the work of women in the household of the household to fill his spare time. Furthermore, batik clothes that used only the royal family, then became a popular folk clothes, both women and men. While the range of batik patterns and colors are influenced by various foreign influences. 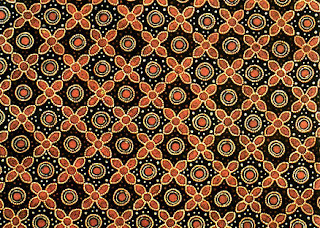 Originally, batik has a variety of shades and colors are limited and may only be used several shades of certain circles. However, coastal batik absorb various external influences such as foreign traders and also in the end the invaders. Bright colors like red popularized by the Chinese and also popularized the style phoenix (the bird of fire). European colonial nations are also interested in batik and the result is a style previously unknown flowers (like tulips) and also the objects brought by the colonizers such as buildings or train horses, including their favorite colors like blue. But it retains a traditional batik pattern and is still used in traditional ceremonies because usually each style has a representation of each. At first batik clothes are often worn at formal events to replace the jacket. But in its development during the New Order batik shirt is also used as formal wear school students and civil servants (batik Korpri) who uses batik uniform on Friday. Further development of batik began to shift into everyday clothes are mainly used by women. Until the end of each employee must wear batik on every Friday.